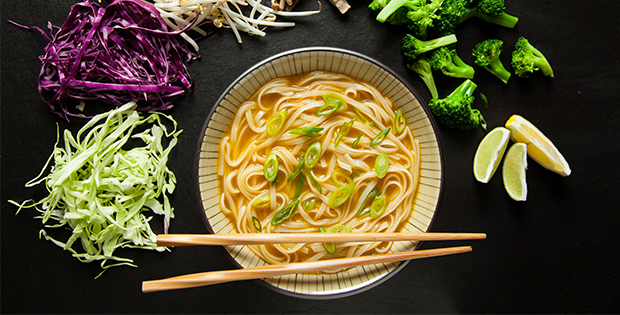 This was Pho real the top recipe of 2014, and we think it’s perfect for cold winter nights. 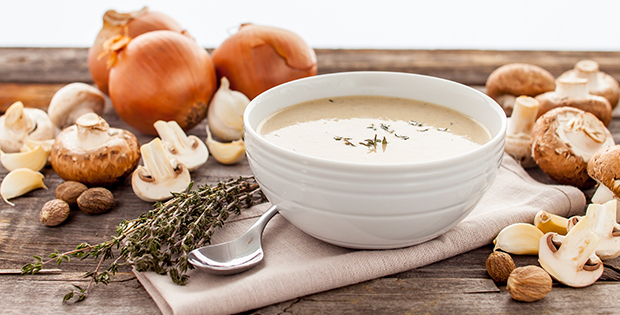 This mushroom soup is more satisfying than any dairy-based soup in a can. 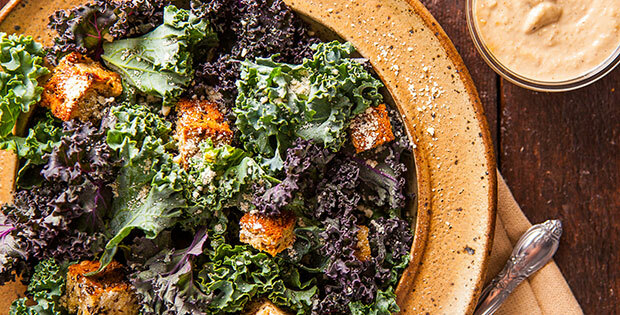 All Kale Caesar! Skip the anchovies without missing the savory taste of a classic Caesar salad. 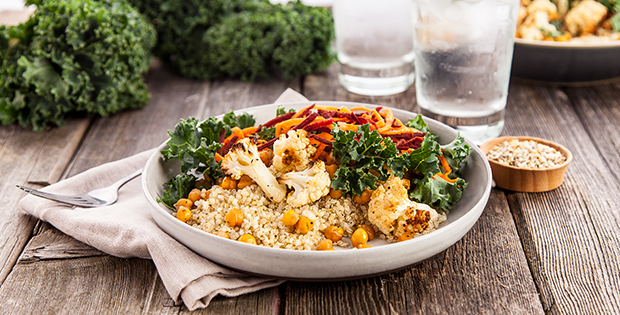 Our adapted version of the Buddha Bowl from OhSheGlows.com uses 2014’s favorite cruciferous vegetable: cauliflower. 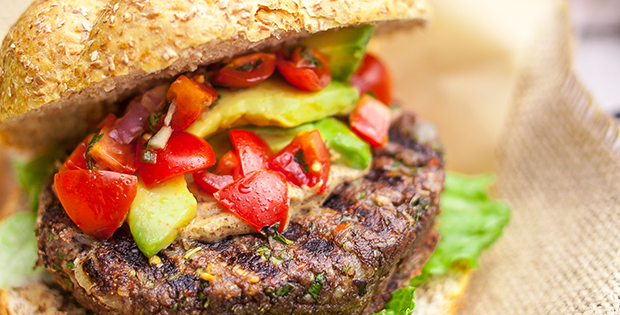 A plant-based classic, that doesn’t need a BBQ to heat. 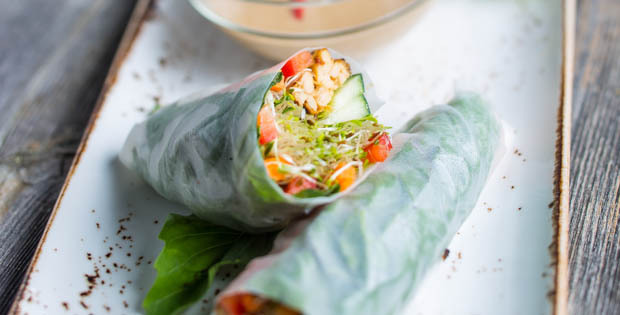 Remind yourself of summer (or bookmark this recipe until then) with these un-fried spring rolls. 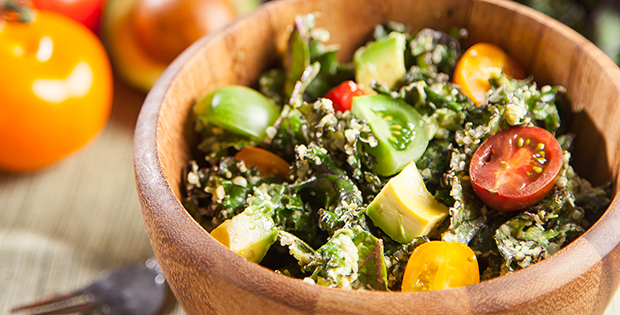 You said Oh Kale Yes to kale salads this year, including Peggy K’s Hemp Seed Kale Salad. 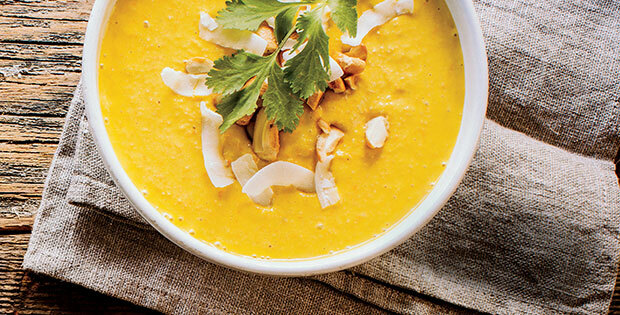 From Brendan Brazier’s Thrive Energy Cookbook this innovative twist on a carrot soup will be a new favorite. 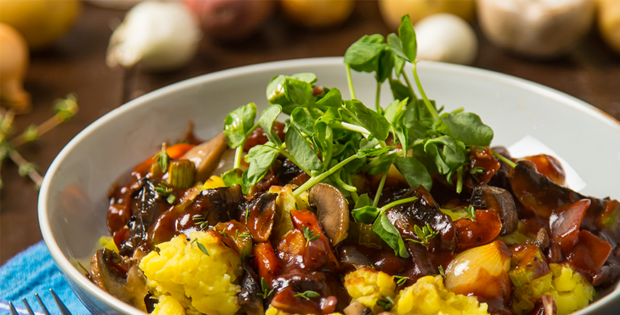 Harness your inner Julia Child and direct your attention to this plant-based bourguignon. 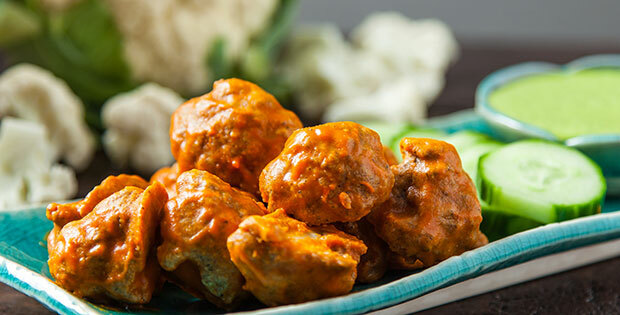 Ok, not an entrée, but your new favorite appetizer, for sure! What is your favorite plant-based entrée?